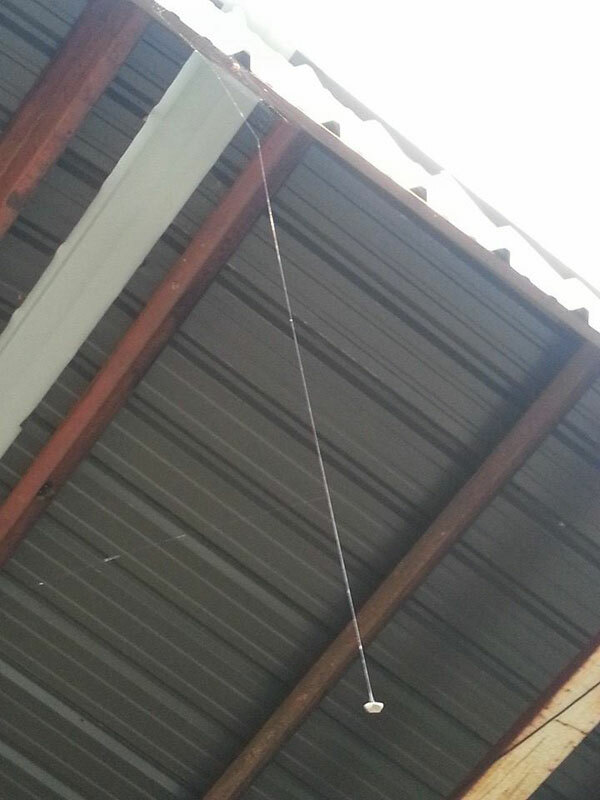 Reddit user reverseloop observed a spider’s web that appears to be anchored from the ceiling by a rock. While the fascinating discovery implies some kind of basic form of tool use, it’s unclear exactly how this occurred since he did not personally witness the web-building process. For example, it’s possible that the rock was resting on another surface (like the roof of a car) and the spider anchored the web to the rock (mistaking it for a sturdy surface) and when the car pulled away the rock was left dangling. Hopefully the species will be identified and further tests and observations can be undertaken to determine if this is indeed a basic form of tool use!